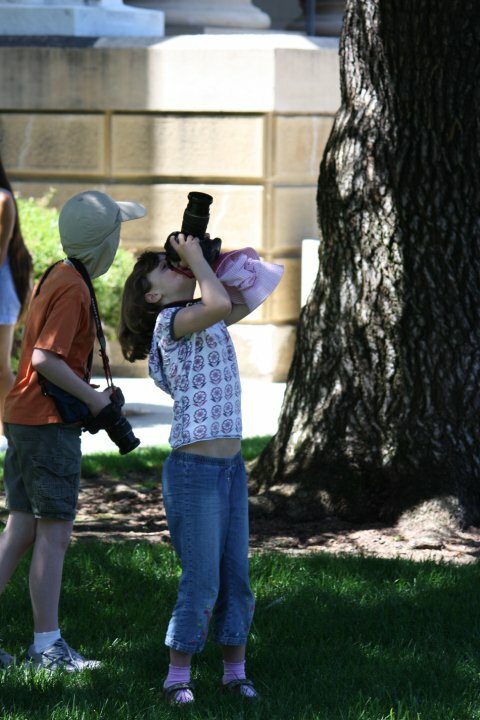 In 2009, we hosted our first photography workshop on Stanford campus with great result. To take full advantage of the prime Bay Area weather, we are having an outdoor photo-walk workshop on the campus of Stanford University teaming our teens with local photographers, and special guests from First Exposures a San Francisco-based, nationally recognized youth mentoring program whose mission is to empower youth through photography! This workshop is open to all ages and our youth aged 11 - 18 years will definitely have a great time. But we definitely welcome younger siblings to join as well. WHEN: Sunday, November 15th, 2015 2:00 - 4:00 p.m.
WHERE: Stanford University. We will meet at the Quad at 2:00 p.m. sharp. As this is a walking tour, please plan accordingly as we would like to move together. From San Francisco or San Francisco International Airport (SFO), take Highway 101 south to Palo Alto. Exit at University Avenue west into downtown Palo Alto. You will go through an underpass (with the train station above) as you come out of the downtown area. Stay on University Avenue, which becomes Palm Drive as you enter the Stanford University campus. Palm Drive ends at the parking Oval directly opposite the Main Quad. OR From San Francisco, go south on Highway 280, exit at Sand Hill Road and follow Sand Hill east to Arboretum. Turn right on Arboretum to Palm Drive. Turn right onto Palm Drive until it ends at the Oval. From San Jose International Airport (SJC), take Highway 101 north to Palo Alto. Exit at University Avenue west into downtown Palo Alto. See instructions above. OR From San Jose, go north on Highway 280, exit at Page Mill Road and follow Page Mill east to the second light; turn left on Junipero Serra Road, right at the 3rd traffic light onto Campus Drive West, and turn right at Palm Drive, to the Oval. Parking is not enforced after 5:00 p.m. or on weekends, with the exception of spaces marked handicapped.